Steven (Chicagoland, United States) on 28 January 2013 in Landscape & Rural and Portfolio. and apostle of lasting peace for all mankind. Such a wonderful place to meet. Gorgeous capture! They just go up and up and up! A beautiful capture of these wonderful trees. Magical light in this shot ! Beautiful light and starburst through the trees. Fantastic shot, Steven. Human scale, awesome tree towers, and a sweet solar finish up high ! smashing compo and presentation, and a suitable tribute to FDR !!! 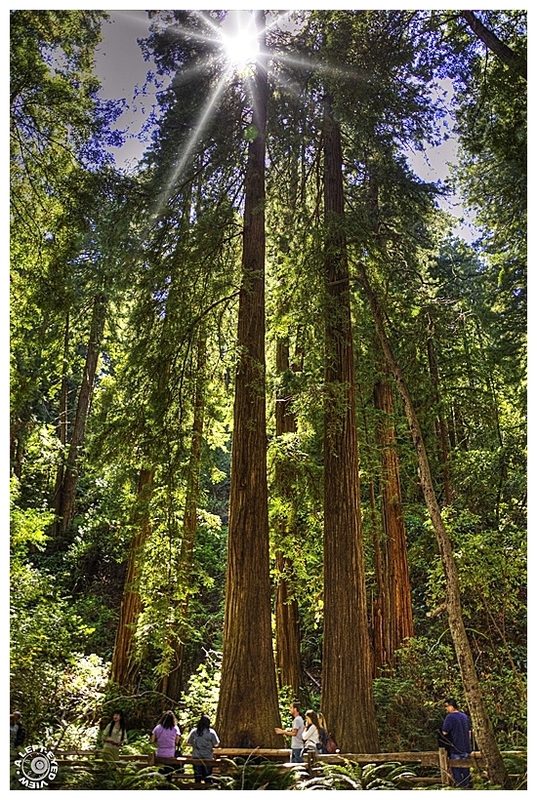 Muir WOods is such a beautiful place. I love this pov and the way you captured the rays of light. Gorgeous! The sun through the trees is beautiful. Wonderful image! I like the star-burst light source, and your point-of-view does well to illustrate the size. fine sunburst. i used to live right near there (san rafael). Beautiful and love the detail shown here so well.